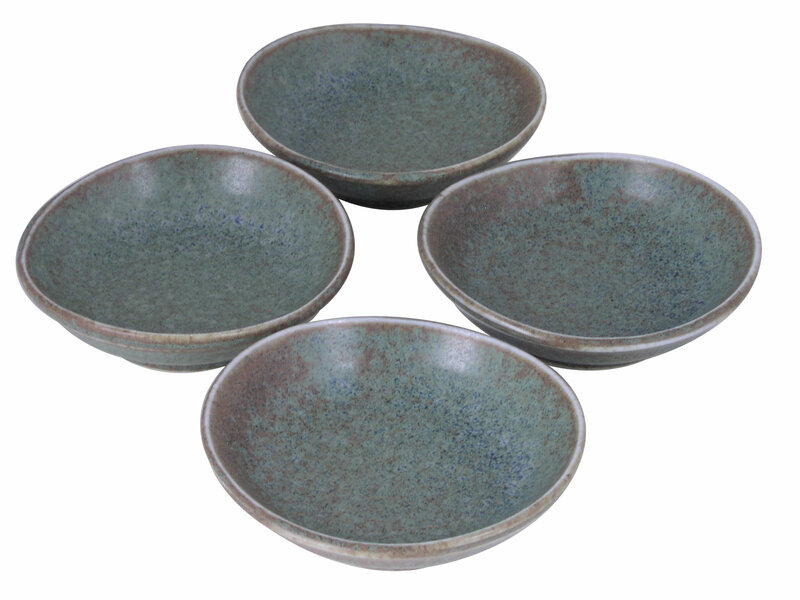 Part of the Moss Green collection, this soy sauce bowl set is different than any other sauce bowl as they have unique and uneven curves, making the bowls look like natural stones found in forests. With a set of four sauce dishes, this soy sauce bowl set features pale colors similar to the colors found in Spanish moss. With pale green speckled in dark black and brown tones, the ridges of these Japanese soy sauce dishes are a blotchy earthen brown. If set on the floor of a mossy green forest, these soy sauce dishes would completely blend in with their unique and natural looking colors. Made from quality ceramic, this soy sauce bowl set is perfect for the down to earth home whose décor features earthy forest tones. Great for putting soy sauce in, these soy sauce dishes are also great for other condiments like ketchup and dressing. Made in Japan.